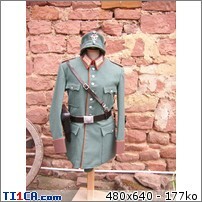 I would like to know if there is any interest among the polizei reenactors for OrPo set, ie. 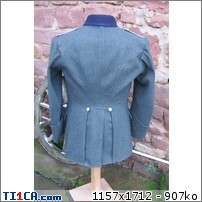 Waffenrock m36 +Breeches in bluish fieldgray wool? 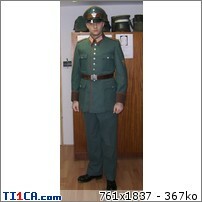 I made some of those uniform in the last months. 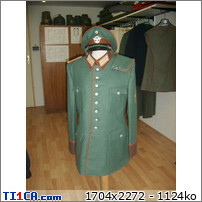 I used to cut the tunic in old Polizei mantel from the 50's, but now think about ordering polizei trikot in Germany. To be feasable I need to issue at least 10 sets to cover my woven fabric costs. Let me know your felling about. I may be interested but will need an estimate of cost and to see the colour of cloth before commiting. Also IF i was toorder a set i would need piping in orange for Gendarmerie. Could be good as evening wear, like Dave Id be keen to hear the cost etc. Price is pending on raw material cost first and than the time spend on each item ( patterning, cuting and finishing). Collar are made 50% by hand if you want to have the right shape. 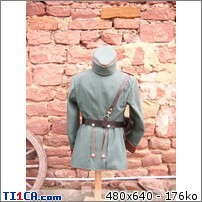 So a tunic cost is around 250-300€; Breeches should be aroud 150€. 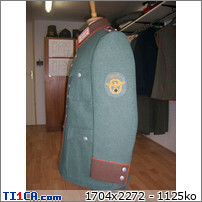 Each item is tailored to the "Polizist", no standard size. 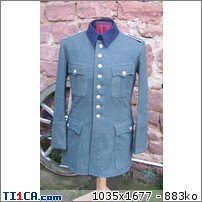 Currently I have source some meter of Polizeituch in Germany, so I am able to do Truppenuniformen immédialtly, including the Polizei feldblusen. I spent a lot of time collecting magizines, books and original patterns from RZM and DAF cloth offices, now I am able to do something decent, with nothing to do with chines stuff. Sizes feasable shuld be 90 to 116cm chest sizes. Happy new year to evrybody! Hereunder you'll find my prototype of Gendarmerie Waffenrock! Can you do the waffenrock for the schutzpolizei? I can do any OrpoTunic except salt and pepper summer stuff. I've said it before, and I would gladly say it again. Great work! Also, I would be very interested in purchasing a set. Thanks for your compliment. Such piece needs more than 60 hours labors, so it is an expensive repro... 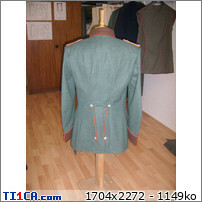 I need to calculate vaue pending on size ( complexe pattern or not, need on fabrics,...). 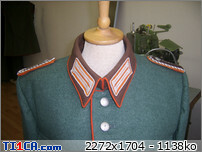 Next step is lining finishing and then I began a feuerschupo tunic M39, with carmine piping and black faces! Is there any kind of estimate for something in a size 40" chest? 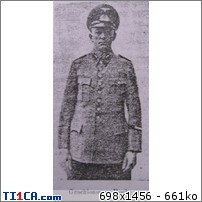 Some pics of the tunic with Bergmütze and Schirmmütze.